You don't have to worry about performance issues with this package. The Performance Plus package is built around the Cabrinha Switchblade, one of the most popular on the market. The 2013 Cabrinha Switchblade delivers a refined, comfortable, and most of all, fun experience. The Cabrinha IDS control bar is distinct in its simple interface that provides surprising safety. This attention to detail is evident through the entire experience, turning the most ambivalent of kiteboarders into die-hard fans. Keeping with that theme, we pair the Switchblade with a blend of kiteboards and harnesses that are some of our most popular sellers. So pick the size of kite you'd like, choose the kiteboard and harness you like best, and rest easy. You've just set yourself up the best way possible, all while saving money. Your kiteboarding career is off to a great start already, and you haven't even hit the water. MACkite's Opinion on the 2013 Cabrinha Switchblade. The 2013 Cabrinha Switchblade has had some really great changes implemented. Cabrinha kites really paid attention to rider feedback and have done a fair amount of changes to the 2013 Switchblade. One of the major critiques Cabrinha received was that the 2012 Switchblade turned slower than some riders liked. Cabrinha had this designed into the kite to make it predictable and forgiving. This is a huge reason that newer and intermediate riders progress so much quicker on a Switchblade versus almost any other kiteboarding kites. It is a lot easier to land your first tricks if your kite is not tomahawking into the water and you know exactly where it is. This year Cabrinha added a nice amount of turning speed, but did not give up the amazing stability needed for parked kite performance. You will really enjoy this turning speed while riding waves, hitting kickers or learning your first backroll. The next most common rider feedback was a bit too much bar pressure. Cabrinha has addressed this with a new canopy shape that allows more power to transfer into your center lines decreasing bar pressure and increasing turning speed. Cabrinha has always concentrated on not only the performance of their kites but also the user friendly features that make Cabrinha kites that best kites on the market today. Our favorite tweak this year is the new pump and the new direct connect airlock pump system. Cabrinha has made it so their pump connects directly to the kite with a quarter twist of the hose. While this is a nice feature the really amazing feature is the new pump. This thing is smooooth. Pumping up a big kite has never been faster and easier. Our next favorite new feature is the simple catch added to Cabrinha Kites Quick Release System. Simply push the QR out, it locks in place, pop the pin in and you are ready to go. All in all, Cabrinha delivers an excellent kite for 2013 with the Switchblade. But don't just take our word for it - get yours and find out for yourself! The Liquid Force Edge kiteboard is the easiest way to get started riding. Whether getting up for your first time or performing your first jump, the Edge kiteboard is sure to help you. With a bottom designed for easily cutting through the chop and almost effortless upwind cruising, the Liquid Force Edge allows you to progress every session. 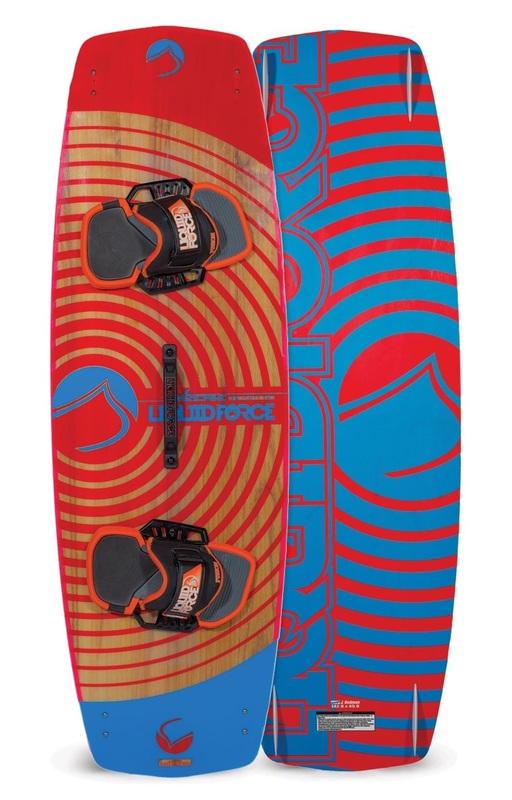 With medium rocker and stiff flex, this kiteboard will transition you from beginner to intermediate rider in no time. The Best Spark Plug Prime is a must for the progression-minded kiteboarder who wants a board that will last for years to come, both in terms of construction and performance. Low continous rocker coupled with a light and durable construction make for an outstanding kiteboard. 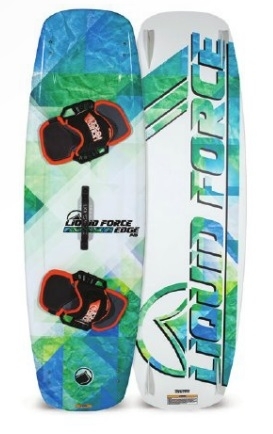 The 2014 Liquid Force Over Drive is a light wind kiteboard with heaps of performance. 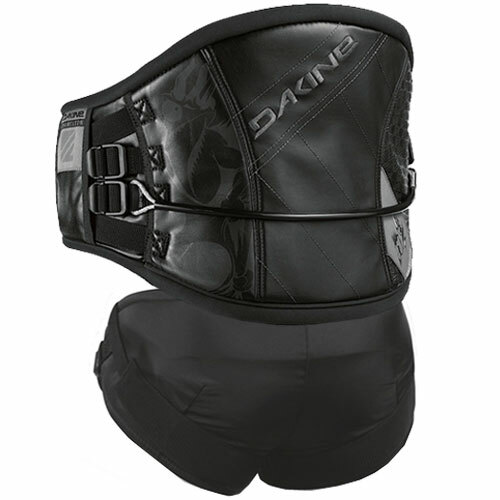 It is also a stellar option for heavier riders looking for some extra oomph. The flat rocker and extra width make for a board that is exceedingly easy to get started on, and stay on in lighter conditions as you continue to progress. Extra small sizes are available upon request. 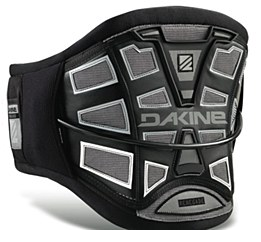 Dakine has really knocked it out of the park with their new hybrid waist/seat harness. If you are new to the sport of kiteboarding and are not sure if you want a waist harness or seat harness, the Chameleon is for you. Most package deals you find out there come with a basic harness, something completey functional, yet lacking the sophistication of more high-end models. The Renegade is an uncompromsing premium harness that promises and delivers both comfort and longevity. The Dakine Renegade is a must for those who are planning on spending serious time on the water, and want something that will last for years to come. Sizing consistent with above measurements. 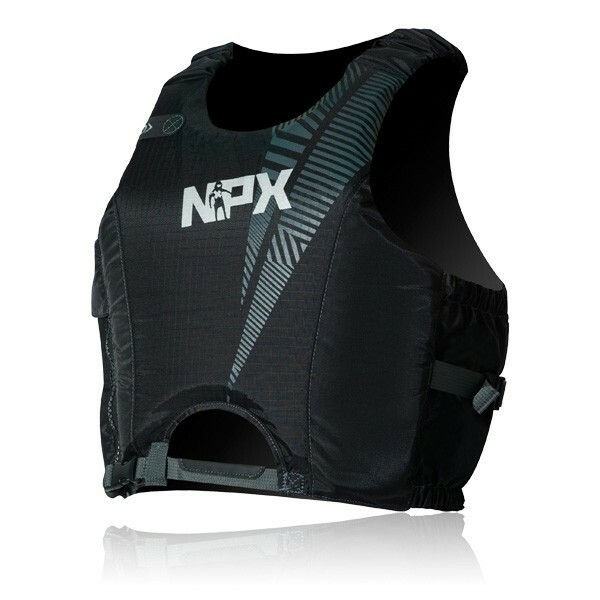 The NPX Immortal is a high-performance vest that will keep you lookin' stylish, feeling agile, and most importantly, alive. This vest is cut to fit with a harness, and the buoyancy foam is so comfortable you're likely to forgot you're even wearing it. The Immortal Vest is also CE approved. Select your kite size, kiteboard, harness, and remember to indicate what color you want in the colors below. Made all of your choices? Good - it looks like you're just about ready to hit the water. Congratulations on your new gear, and welcome to the sport. We can almost guarantee it is going to change your life.